The currency of Belize is Belizean Dollars which is pegged against the US Dollar at 2:1, so 2 Belize dollars = 1 US dollar. US dollars are accepted everywhere. Be sure to check whether prices are in US or Belize dollars! ATM machines are available in all towns. 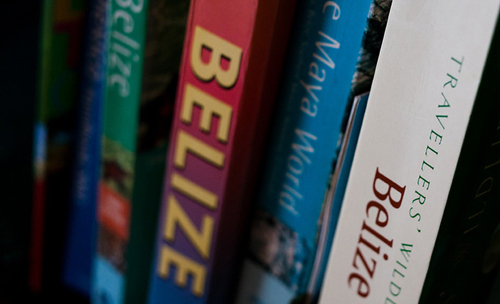 Belize has a tropical climate and a relaxed vibe. The Belizean dress code is No Shoes, No Shirt, No Problem! so bring casual, light clothes. If you are staying on the coast or islands, there is an onshore breeze most of the time, which helps to cool things down at night and make for a beautiful climate. You may want to bring something for your shoulders for winter evenings, when the winds blow stronger. If you are jungle bound, bring lightweight trekking shoes and lightweight outdoor trekking clothes. In terms of bugs, sometimes they’re here, sometimes they’re not, it depends on the time of year and the weather conditions. Wear repellent, especially at dawn and dusk and bring long sleeves and pants if you are particularly sensitive. Belizeans are wonderfully relaxed, kind and friendly. Always reply to friendly gestures such as a ‘good morning’ or a ‘what’s up’. A common expression in Belize is ‘take your time’ and patience goes a long way. Belize’s climate is classed as sub-tropical, with a cool continuous air stream flowing over from the Caribbean Sea and a mean temperature of 79 degrees Fahrenheit. Dry season is December to May, although December can still receive some fairly good downpours. March can get a little windy with the trade winds, which is great for those into kite or wind surfing and April to June are the ultimate months for sun and barely any clouds in the sky. The rainy season runs June through November and whilst the early months can still be spectacular times to visit, some mainland attractions such as caves and jungle treks are closed due to the risk of flooding. In the height of the summer months the coast can get extremely hot and humid. September and October are the prime time for tropical storms, hurricanes are rare. No vaccinations are required for entry into Belize, although a number are recommended including chicken pox, hepatitis A and B, measles, tetanus, diphtheria and typhoid. If traveling to jungle destinations, consult your doctor on whether they recommend malaria tablets. Pharmacies are prevalent in tourist destinations and generally well equipped.